Home NEWS The University Holds a Lecture Entitled "the System of Ensuring Efficiency in Educational and Training Programs in Institutions"
The University Holds a Lecture Entitled "the System of Ensuring Efficiency in Educational and Training Programs in Institutions"
Arab American University hosted the expert in human development and institutional development Dr. Montaser Khater in a lecture organized by the Office of the Vice President for Community Affairs entitled "Efficiency Assurance in Educational and Training Programs in Institutions". The lecture was opened by the Vice President for Community Affairs Dr. Iyad Delbeh with a welcoming speech for the guest and attendance. 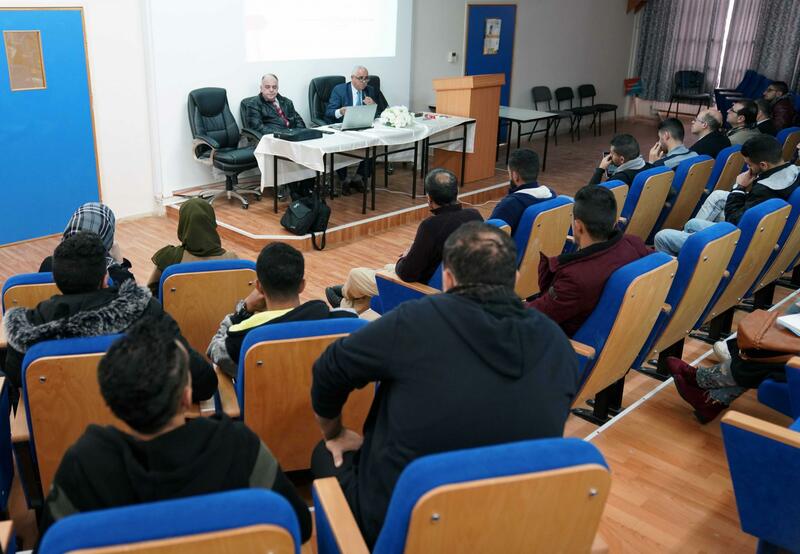 As he pointed out that the university hosts experts and specialists to transfer their practical experiences to students, in order to benefit from their practical life. 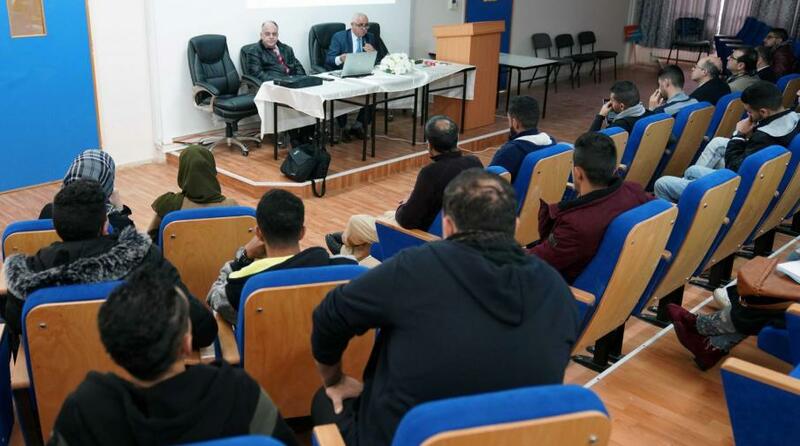 He explained that Dr. Montaser Khater is one of the experts specialized in human development and institutional developments, and one of the founders of Al Quds Open University in Amman, Jordan, also the owner of the idea of virtual university project in Palestine, calling on students to benefit from his valuable information. For his part, Dr. Montaser Khater discussed a number of programs and systems that can be used to ensure the efficiency of any institution, referring to a new educational model based on the system of ensuring the efficiency of various productive and industrial institutions as well as higher education institutions. At the end of the lecture, the guest listened to the students' questions and inquiries.